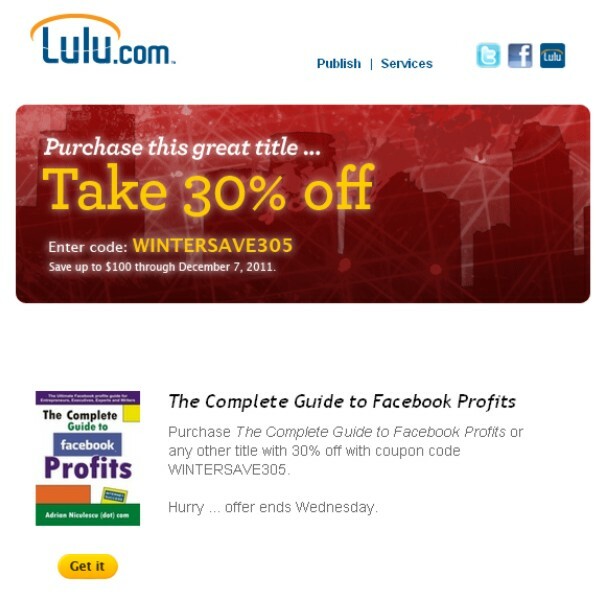 The Complete Guide To Facebook Profits was just featured on lulu.com’s newsletter. It is one of my ebooks about social media marketing and Facebook monetisation mostly and is offered at 30% off. and enjoy this great offer here. Previous Previous post: Ce au in comun Jay Z, Kanye West si Indiggo?